Successfully Added MANN ZUG 5S Rugged Phone - IP68, USA 4G Frequencies, Quad Core CPU, 3GB RAM, 5 Inch IPS Screen, OTG, NFC (Silver) to your Shopping Cart. 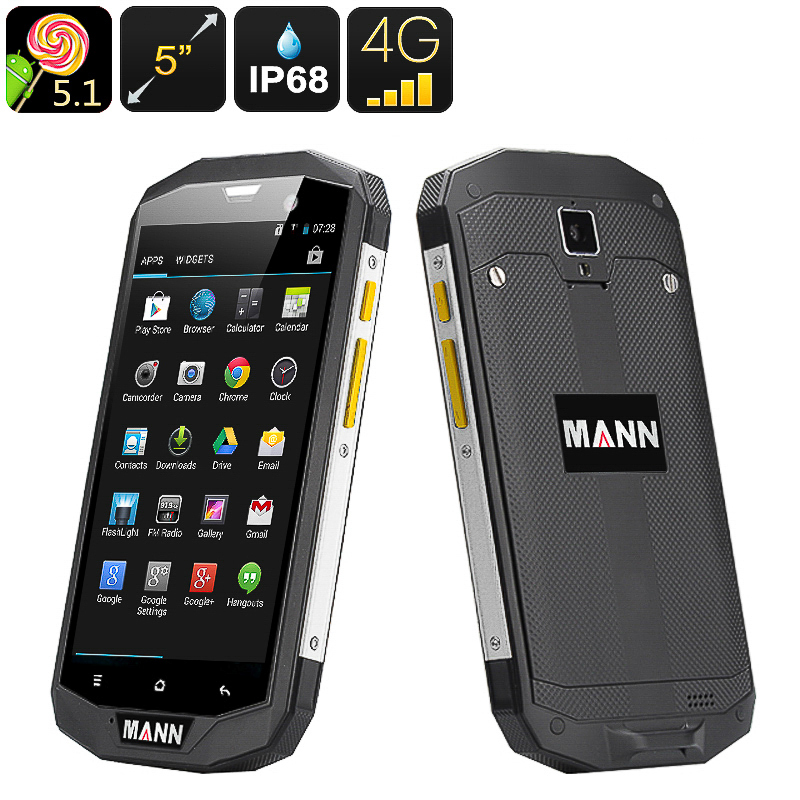 With 4G connectivity and supporting a full spectrum of frequencies including 2/4/5/7/12/17 the new and improved Mann ZUG 5S US version lets US consumers enjoy the full extent of a durable rugged Smartphone with an affordable price tag. Twin SIM card slots and two IMEI numbers ensure greater coverage as you can use SIM cards from different providers for the best coverage to meet your needs be it urban adventure or back country exploration. An impressive IP68 rating protects against water and dirt immersion allowing the phone to survive submersion in water. Now you can needn't fear your phone getting damaged in the great outdoors and with the MANN ZUG S5 able to accompany you on extreme adventures you will only ever be a phone call away. Hosting a zippy quad core CPU and 3GB of RAM, the ZUG S5 can handle the latest apps, multitasking, gaming and movie play with easy. An Android 5.1 interface ensures familiar and easy operation with all you need at your fingertips. A 5 inch IPS screen brings clear sharp images to life in high definition and with a good level of brightness so viewing your content indoors or out won't be a problem. Running on a 4050mAh battery brings plenty of usage time and with a rear 12MP camera you can snap great adventure shots or record full action videos in FHD to capture those memorable moments no matter where you may be. This Mann ZUG 5S US version comes with a 12 months warranty, brought to you by the leader in electronic devices as well as wholesale rugged phones..